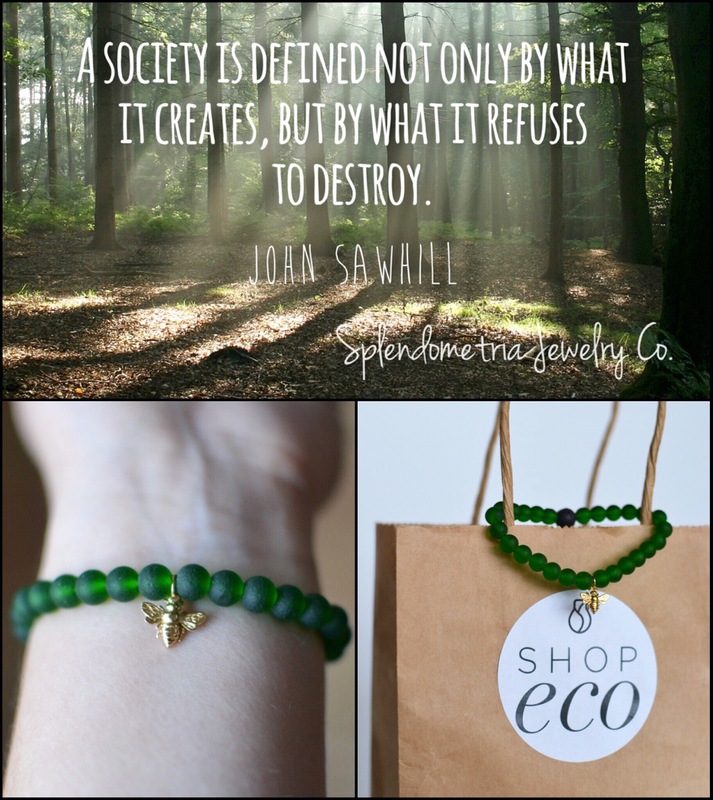 ShopEco Aromatherapy Bracelet Benefitting Save Ojibway | Splendometria Jewelry Co.
Monday Morning Inspiration and Exciting News! BIG NEWS!!! When you purchase a ShopEco Aromatherapy Bracelet by Splendometria Jewelry Co., ShopEco and Splendometria Jewelry Co. will each donate $2 per bracelet, for a combined total DONATION of $4 PER BRACELET directly to SAVE OJIBWAY!!! Made from emerald recycled glass beads and a golden honeybee talisman, this unique bracelet features an absorbent natural lava bead at the pulse point, allowing you to anoint it with a few drops of your favourite essential oil that will diffuse throughout the day! The honeybee is symbol of love, communication, hard work, overcoming the impossible, fertility, and is a reminder to savour the sweetness of life! Quite fitting in the context of the fight to save Ojibway, which is home to a rich diversity of ecologically important insects, including the honeybee!